We take complex issues and make them easy-to-understand so that commonsense solutions become clear. 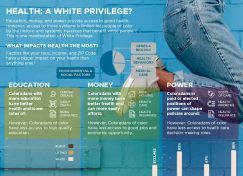 Education, money, and power provide access to good health, but access to those is limited for people of color. This is one manifestation of White Privilege. 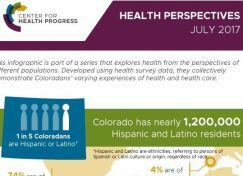 Hispanics and Latinos face increased barriers to good health because of systemic and historic injustices. 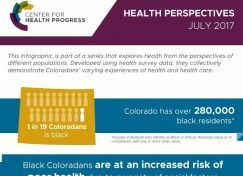 Black people face increased barriers to good health because of systemic and historic injustices. 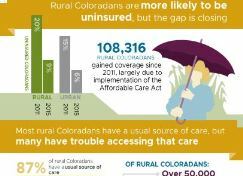 Coloradans living in rural areas face increased challenges in accessing health care, and good access is important for good health. 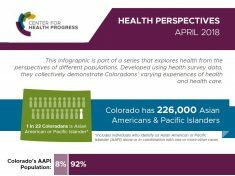 To achieve a healthier rural Colorado, we must improve access to care across the state.